a comprehensive range of best practice security products and services comprising manned security guarding, mobile security patrols, secure key holding, intruder and fire alarm response, lock-ups and unlocking, door supervisors, events security services, CCTV, access control and intruder alarm systems. Click here to read more! mobile fire protection engineers providing fire risk assessments, supply, installation and maintenance of fire extinguishers, fire alarm systems, mandatory fire safety signage and ancillaries. Fire fighting and safety training is also offered, from basic fire safety awareness to Fire Marshall standard. Click here to read more! we provide portable electrical appliance inspection, testing and certification, generally referred to as PAT testing, for all in-service electrical equipment. Using best quality test equipment, our test engineers are City and Guilds qualified to Level 3 Certificate for the Inspection and Testing of Electrical Equipment.Click here to read more! 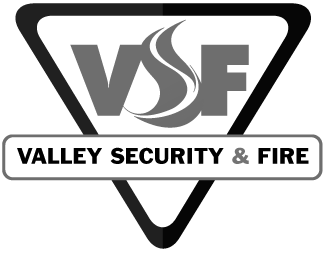 The safety and security of people, property and possessions is important to us all, where it is paramount is where you will find Valley Security & Fire Ltd. We will minimise your risks by concentrating on your vulnerabilities, allowing you to focus on running your business or organisation without distraction. Our Managing Director states: “Over 70% of our new business comes from clients dissatisfied with the quality and/or consistency of services hitherto provided. We pledge our customers, old and new, a thoroughly professional, dependable and consistent service. Niether customers nor consumers have to tolerate below par services – VSS consistently raises the bar, whilst robustly controlling overheads and subsequently, service charges”. Located centrally on the West Midlands and Mid Wales borders of Powys and Shropshire, Valley Security & Fire Ltd supplies premier security services, fire safety and PAT testing to both public and private sectors, throughout England and Wales. We pride ourselves in maintaining low overheads, enabling discerning buyers to benefit by purchasing first class products and services, at reduced costs. You will find our approach professional, friendly and very accommodating. We will make every effort to percieve your requirements and deliver satisfying results. We recognise that we must integrate our business values and operations to meet the expectations of our stakeholders, who include customers, consumers, employees, Private Security Industry Act, Police, our suppliers, the community and not least, the environment.